We specialize in business software services such as CRM, procurement, inventory management, production control and accounting. 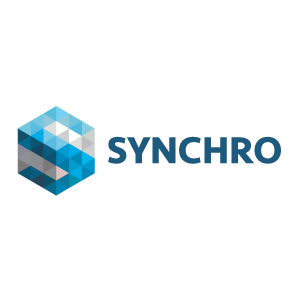 Synchro RKK Sdn Bhd updated in About Us. Synchro RKK Sdn Bhd added new photo in DOCUMENT MANAGEMENT SYSTEM Category. Synchro RKK Sdn Bhd added 6 photos in HUMAN RESOURCE MANAGEMENT SYSTEM Category. Synchro RKK Sdn Bhd added 4 photos in ABAS ERP - ABAS MOBILE Category. Synchro RKK Sdn Bhd added new photo in ABAS ERP - BI & ANALYTICS Category. Synchro RKK Sdn Bhd added 6 photos in ABAS ERP - FINANCIAL ACCOUNTING Category. Synchro RKK Sdn Bhd added 5 photos in ABAS ERP - MATERIAL MANAGEMENT Category. Synchro RKK Sdn Bhd added 3 photos in ABAS ERP - PURCHASING Category. Synchro RKK Sdn Bhd added 6 photos in ABAS ERP - PRODUCTION PLANNING & CONTROL Category. Synchro RKK Sdn Bhd added 7 photos in ABAS ERP - SALES MANAGEMENT Category. Address: A-SG-25, Level SG, Block A Sunway Geo Avenue, Jalan Lagoon Selatan Sunway South Quay Bandar Sunway, 47500 Subang Jaya, Selangor, Malaysia.